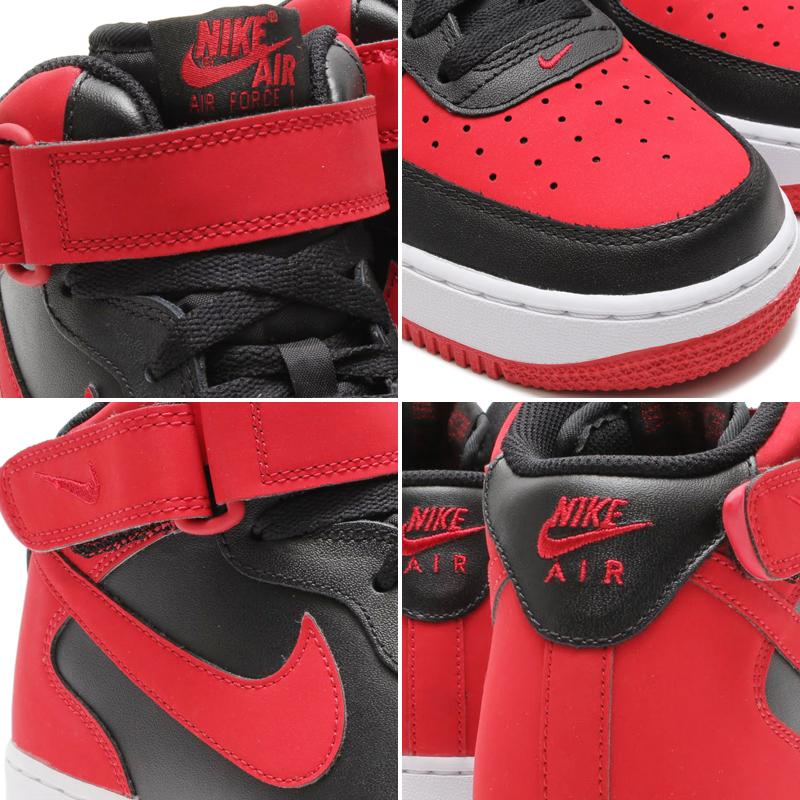 The Nike Air Force 1 Mid is the latest sneaker to borrow the immortal black and red palette from the Air Jordan 1. The shoe is not as dedicated as the recent Nike Air Max 1 "Bred" in its borrowing and you won't see any tweaking of the branding here, but the it is nonetheless pretty referential. 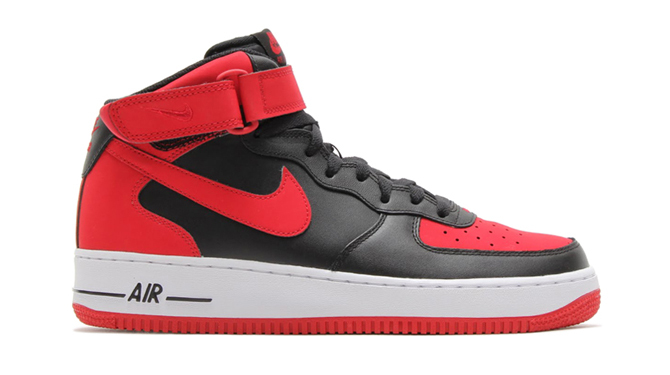 The Nike Air Force 1 Mid just landed on NIKEiD for the first time, but this exact colorway can't be created there, so there is still room for homage styles like this at retail. This Nike Air Force 1 Mid "Bred" release hasn't landed at the U.S., although atmos has them up for grabs for those willing to import.